This evening I took part in the #thegirlgang Twitter chat and mentioned that I'd been thinking about organising a mental health blogger meet in the UK. The response was preeetty huge, so let's get the ball rolling! I have absolutely no idea how this is going to work yet, but first I want to get an idea of numbers. 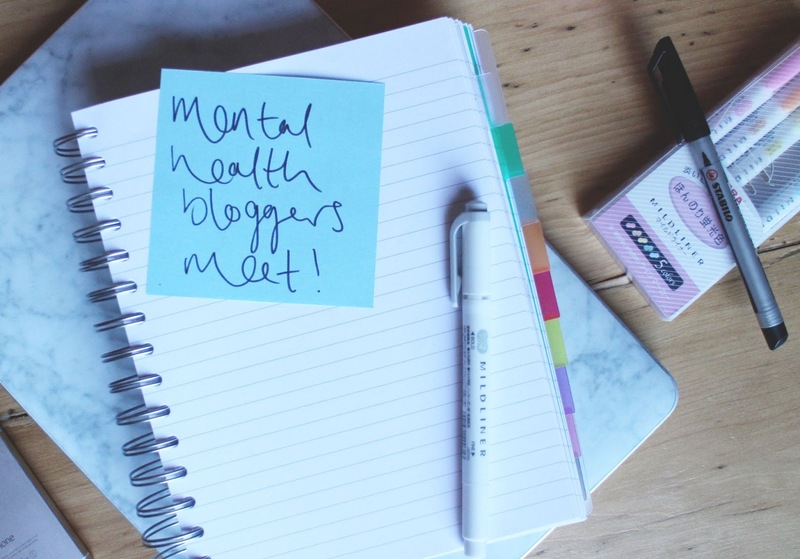 If you're interested in coming along to a meet to discuss blogging away the mental health stigma, leave me a comment below and I'll get compiling a list. I already have a number of names but I figured this would be a lot more efficient. I know this started within #thegirlgang, but absolutely anyone will be welcome (provided you have a blog or are looking to start one). P.s. Can everyone share this post using #mhmeet? P.p.s if anyone has any thoughts/ideas, feel free to email them over! Well, here's a blog post I never thought I'd be writing! You guys: I'm a vegetarian. An actual real life vegetarian. Like, I'm a herbivore. I haven't touched meat in five whole months* and I'm pretty proud of myself, honestly. I never thought I'd be able to do it for so long. But wait, before you close the tab, this post isn't gonna be all about convincing you to go veggie too; I just want to note down a few of my thoughts, feelings and observations, as much for my own retrospective benefit as yours.